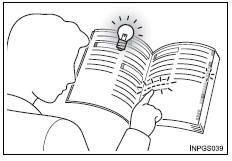 Please note that this manual applies to all models and all equipment, including options. 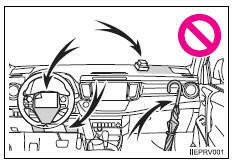 Therefore, you may find some explanations for equipment not installed on your vehicle. Approximately five hours after the engine is turned off, you may hear sound coming from under the vehicle for several minutes. This is the sound of a fuel evaporation leakage check and, it does not indicate a malfunction. 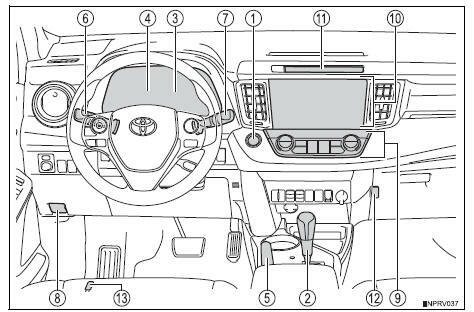 A wide variety of non-genuine spare parts and accessories for toyota vehicles are currently available on the market. 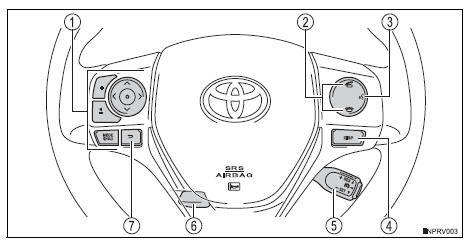 You should know that toyota does not warrant these products and is not responsible for their performance, repair, or replacement, or for any damage they may cause to, or adverse effect they may have on, your toyota vehicle. This vehicle should not be modified with non-genuine toyota products. 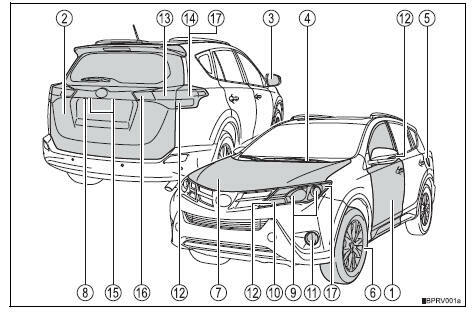 Modification with non-genuine toyota products could affect its performance, safety or durability, and may even violate governmental regulations. In addition, damage or performance problems resulting from the modification may not be covered under warranty. 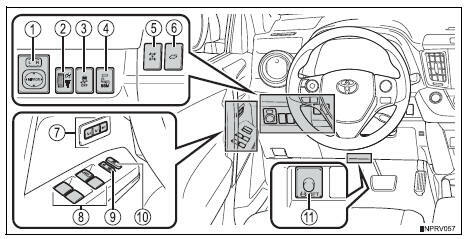 Be sure to check with your toyota dealer for precautionary measures or special instructions regarding installation of a mobile two-way radio system. The recorded data varies according to the vehicle grade level and options with which it is equipped. Furthermore, these computers do not record conversations, sounds or pictures. Toyota may use the data recorded in these computers to diagnose malfunctions, conduct research and development, and improve quality. This vehicle is equipped with an event data recorder (edr). 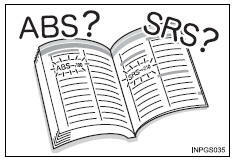 The main purpose of an edr is to record, in certain crash or near crash-like situations, such as an air bag deployment or hitting a road obstacle, data that will assist in understanding how a vehicle’s systems performed. The edr is designed to record data related to vehicle dynamics and safety systems for a short period of time, typically 30 seconds or less. Note: edr data are recorded by your vehicle only if a nontrivial crash situation occurs; no data are recorded by the edr under normal driving conditions and no personal data (e.G., Name, gender, age, and crash location) are recorded. However, other parties, such as law enforcement, could combine the edr data with the type of personally identifying data routinely acquired during a crash investigation. Special handling may apply, see www.Dtsc.Ca.Gov/hazardouswaste/perchlorate. Your vehicle has components that may contain perchlorate. 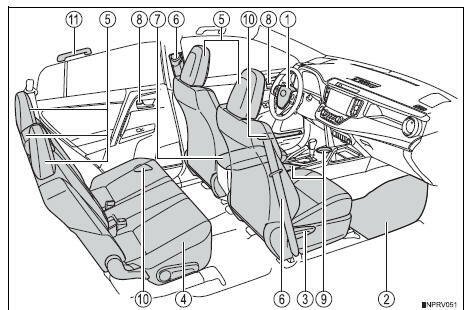 These components may include airbag, seat belt pretensioners, and wireless remote control batteries. Driving under the influence: never drive your vehicle when under the influence of alcohol or drugs that have impaired your ability to operate your vehicle. Alcohol and certain drugs delay reaction time, impair judgment and reduce coordination, which could lead to an accident that could result in death or serious injury. Defensive driving: always drive defensively. Anticipate mistakes that other drivers or pedestrians might make and be ready to avoid accidents. 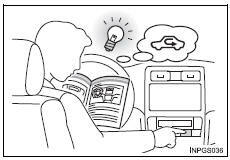 Driver distraction: always give your full attention to driving. Anything that distracts the driver, such as adjusting controls, talking on a cellular phone or reading can result in a collision with resulting death or serious injury to you, your occupants or others. 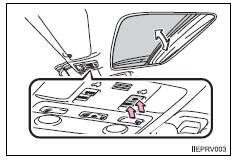 There is also a danger that children may injure themselves by playing with the windows, the moon roof, or other features of the vehicle. In addition, heat build-up or extremely cold temperatures inside the vehicle can be fatal to children. Explains something that, if not obeyed, could cause death or serious injury to people. 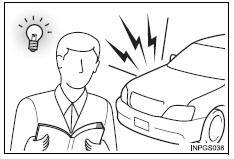 Explains something that, if not obeyed, could cause damage to or a malfunction in the vehicle or its equipment. procedures. Follow the steps in numerical order. turning, etc.) Used to operate switches and other devices. operation (e.G. A lid opens). this”, or “do not let this happen”. 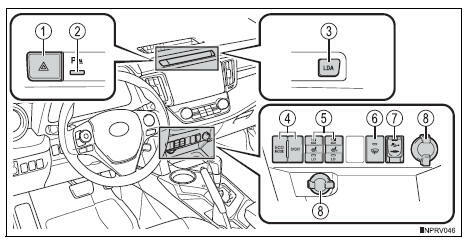 Back-up lights shifting the shift lever to r .
Lda (lane departure alert) switch*1 .